Before you rush off and think you have a sick cedar on your hands, it is important to know what is normal browning and what is not. Even the oldest and tallest cedars in the forest do a bit of browning. The age of a cedar is also a factor. Young cedars will show stress, manifested as browning, if you move them around. Cedars of any age can brown if you do not not irrigate them properly. Prune dead foliage during fall when the tree is dormant. Learn how to detect and prevent destructive insects that can cause your cedar to turn brown. Browning during fall and winter is normal. You can expect some needles to turn brown and drop in spring or fall. This is somewhat normal during this time of year. You may also notice some dead needles on the cedar tree. Cedars do this naturally when they are young and during the second or third growing season. However, if you notice needles turning brown during the summer or winter, your tree could be infected by spider mites. Examine the tree closely to identify the areas that are turning brown. If the branch tips and twigs are brown or dead, the culprit could be weevils. The deodar weevil, in particular, is an enemy of deodar, Atlas and Lebanon cedars. Do a close inspection of the bark. This is where weevils lay their eggs, typically in mid to late June. Look for white grublike lesions burrowing into the wood. If you notice this, your tree has a weevil problem. Spider mites typically attack in the summer. 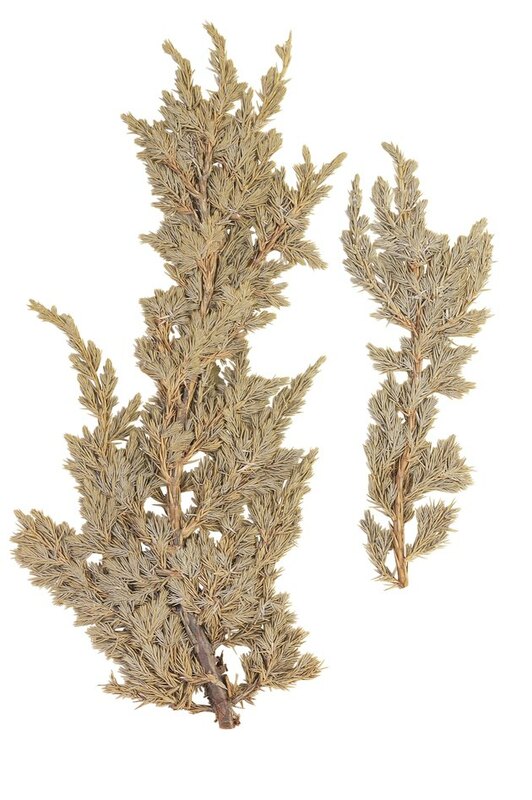 Infestations will cause cedar foliage to look bronze in color. Look on the underside of leaves. If you see tiny white mites or white webbing -- spider mites are on the attack. For further confirmation, take a piece of white paper and hold it underneath a browning branch. Shake the branch and look for slow-moving insects that are as small as periods. That's another way to confirm that spider mites are present. Purchase a miticite spray from your local plant nursery to eradicate the infestation. As a preventative measure, after you have eliminated the spider mites, apply horticultural oil from November through April, during the Cedar's dormant season. Cedar apple rust fungus disease can attack cedars planted near apple trees or members of the apple family, including hawthorn, Juneberry and mountain ash. These trees serve as "alternate hosts" for a fungus to develop and thrive. Examine the tree and look for gall-like growths on the branches for identification purposes. Cut out the galls. Then spray the cedar with a ferbam fungicide application to prevent new infestations. If you have eliminated biotic organisms, such as mites or insects like weevils, and the majority of the tree is brown – your cedar may be severely damaged. If most of the foliage is dead, the tree may not be worth saving. Take a picture of the tree and show it to a professional at your nearest nursery -- or better yet, take it to your nearest cooperative extension office. An extension employee will confirm whether the tree can be saved. Why Are My Cedar Trees Turning Brown?